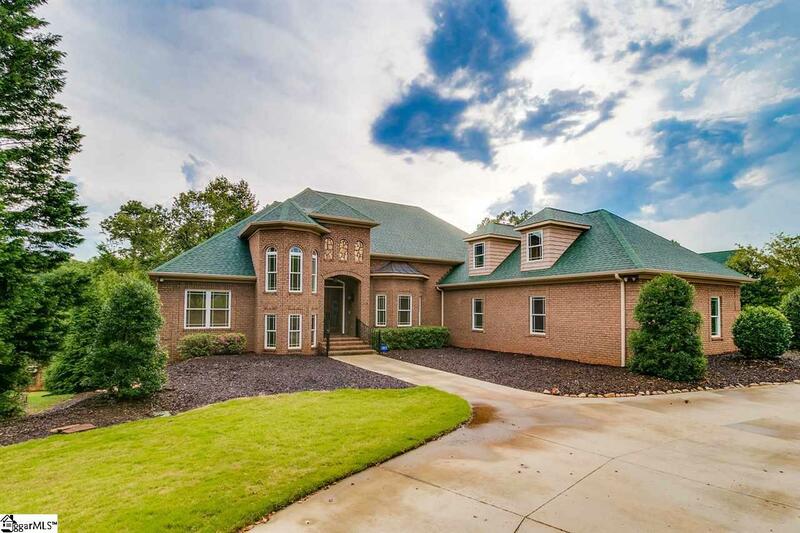 Nestled in a quiet cove on deep water with open water views, this full brick lakefront property with unfinished basement has all the bells and whistles! A fabulous home for entertaining, there is plenty of room for your guests to park in the circular driveway and oversized driveway leading to a three car garage. Your outdoor entertainment space looks over the lake and includes a covered patio, RV hookup, and concrete path leading to your covered dock that includes, electrical, water and hydraulic boat lift. It even includes an extra spot for your jet ski! The dock has deep water, so your boat could stay put year round. Inside, youll find custom cabinetry, thick crown molding and hardwoods throughout. A welcoming fireplace sets the tone for the massive dining room. Enjoy morning coffee on one of two screened porches, or cozy up to the family room fireplace while the chef of the house gets cooking on the Viking commercial grade appliances. While this home has A LOT to offer, you can complete the unfinished areas and get 6,500 sq. ft. Its time to call this house, home, bring your offer today!